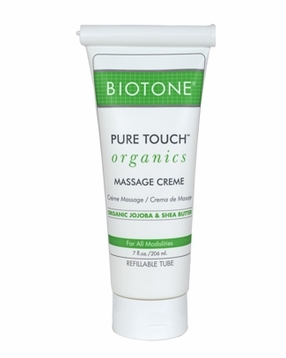 Pure Touch Organics Free from chemicals, Pure Touch goes beyond environmentally-friendly to give you a true organic massage creme. Skin soothing, nurturing oils infused with healing botanicals caress skin for a pure organic experience. Buy the 128oz Jar Bulk size!